These should be called SUPER IRAs. Employers are required to contribute! I know, super duper. While limited to companies with 100 employees are less, those employees are a lucky bunch. Even if the employee does not contribute (but we will always contribute), the employer must contribute 2% of the employee’s annual compensation to the IRA. And if an employee contributes (like we will), the company matches the contribution up to 3%. Want to know more? Check in with the IRS. Mission accomplished—I understand almost all of the IRAs. 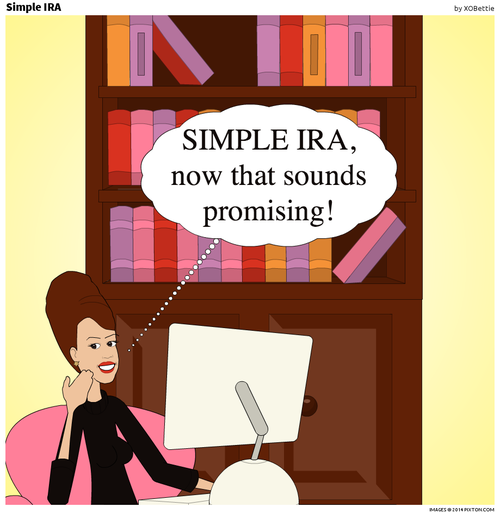 To review, that’s Traditional IRAs, Roth IRAs, and SEP IRAs.